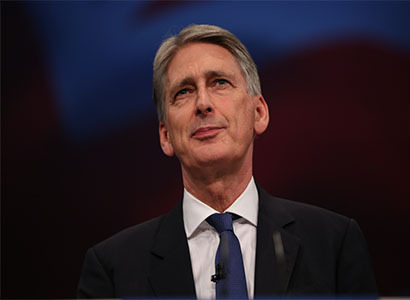 It’s been discovered that a Capital Gains Tax measure buried in the small print of the Budget is likely to hit companies that own buy to let properties. Currently individuals who own second or subsequent properties - for buy to let or other purposes - pay 40 per cent CGT on the total the property appreciated when they come to sell it. Companies, on the other hand, have been allowed to deduct the amount of that price rise that was due to inflation. The BBC gives the example that if a flat was purchased for £100,000 for the purposes of letting out, and was 10 years later sold at £200,000, the individual who owned it would have to pay £40,000 CGT - that is, of course, 40 per cent of the £100,000 profit. However, if a company purchased the same property for £100,000 and inflation had been at three per cent for that 10-year period, inflation would have accounted for £34,000 of that price rise. Then the company would only pay 40 per cent CGT on the rest of the rise - so it would be 40 per cent on the remaining £66,000 price rise. Therefore in that case the CGT would be £26,400 rather than £40,000. However, the BBC reports that it now appears that from January 2018 that discrepancy will be eliminated. The change will only affect price rises from January of next year, so companies will not pay extra on the gains they have already made. The BBC says property is not the only asset this new tax hike affects, but comes on top of a series of measures in recent years which can be seen as attacks on buy to let. In the past 18 months, many individual buy to let landlords are believed to have incorporated, setting up companies owning their investment properties in a bid to reduce the liability of mortgage interest tax relief, which is being phased out for landlords. Here is the BBC story on the CGT change.